A 30 to 45 minute appointment is allotted for each case when a full history is taken and clinical examination carried out including mydriasis. For urgent cases, it is usually possible to arrange a referral the same day. Most cases for investigation will have to stay at the hospital for several hours. Ideally the pet should not be fed on the day of the referral. You will receive a full and thorough case report including all aspects of the investigation and recommendations for treatment and monitoring usually within a week. We are always happy to discuss any cases and give friendly advice over the phone or look at pictures you may send to us by email. 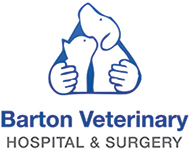 We do not offer cataract surgery at the Barton Veterinary Hospital & Surgery. Should you know your case requires cataract surgery, we can advise you where to refer it directly to.